What happens if a semitruck hits me? With over 300 million people and cars on the road in the United States, it's unsurprising that car accidents occur every day. However, some of the most serious car accidents involve a much smaller percentage of the vehicles on the road: semitrucks. The Large Truck Crash Causation Study commissioned by the U.S. Department of Transportation reported that in a survey of nearly 1,000 crashes involving semitrucks, 23 percent of them resulted in a fatality and 29 percent had an incapacitating injury. The most common types of crashes include the truck rear-ending another vehicle (23 percent), the truck running out of its lane (18 percent) and the truck side swiping a vehicle going the same direction (10 percent). As with any auto accident, the first thing you should do when you're in a semitruck accident is to move to safety if possible. Special considerations include a higher possibility of multiple cars being involved and the entire road being blocked. This will lead to more traffic backup, which may lead to additional fender benders. Some semitruck drivers are independent contractors, in which case the company they were driving for can usually not be held liable unless their contract with the driver says differently. However, if the cause of the accident is mechanical in nature, the company that maintains the truck may be held financially liable. An accident with a semitruck can have serious long-term physical, mental and financial consequences. It's important that you receive the compensation you deserve. Suing the driver or the company who hired him or her can help you deal with medical bills, pain and suffering. As soon as you can following the accident, you and any passengers in your vehicle should receive a medical evaluation to verify there are no hidden injuries not immediately evident at the scene of the crash. Deciding who is responsible for the crash can be a difficult process. A police report can be an important first step to determining fault, but the driver, the company, the insurance and the mechanics might pass the buck around in an effort to avoid paying out. The manufacturer may even become involved if it turns out the crash was caused by mechanical failure in the original components of the truck. Hiring a lawyer is likely the best way to navigate the tricky legal minefield of lawsuits against trucking companies and drivers, leaving you free to recover and take care of your family in peace. 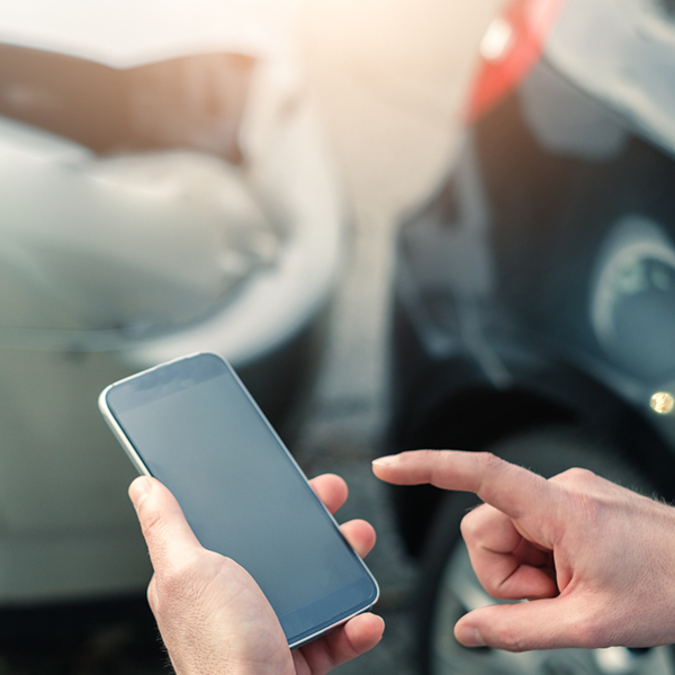 Even if you believe you were the one at fault in the accident, it's still important to seek professional counsel, as there may have been contributing factors you aren't aware of. For instance, speed limits are lower for semitrucks than for other vehicles, which means semis may be more likely to exceed the speed limit. The attorneys at Ed Bernstein & Associates have more than 40 years experience in personal injury law and understand its finer nuances. Visit edbernstein.com or call (702) 240-0000 to find out how to get started on the road to recovery.